Prior to setting up his new ventures, Si spent 7 years at Transport for Greater Manchester, where he architected the transport use cases for the UK's flagship Â£10m Internet of Things (IoT) City Demonstrator, CityVerve, and the highly innovative Cisco Innovation, CitySPIRE "“ a world-first on using IoT to tackle the issue of aggregating demand and embedding flexible on demand transport into mainstream public transit. We asked Si to provide us more detail on what TravelSpirit and TSio is doing on the Open Internet of Mobility. It is our hope that this article will help stimulate debate around what the key priorities for technical developments in transportation should be for the coming years, and how smart technology can improve transport services and help drive business improvement. So what is the big picture here? As revolutionary as the move from horses to the internal combustion engine, technological advances are yet again transforming transport beyond recognition. As whole industries find themselves converging into the same space, new supply chains and business models are emerging. Venture Capital money is coming in, such as the $1bn raised to date by Ofo bike-sharing company, that is subsidising areas of our transport system that would typically be picked up by local government. This new revolution has been given the term "Mobility as a Service" or "Transportation as a Service". Si's organisations use the "Mobility as a Service" term, so we'll use this throughout the rest of this article. Mobility as a Service (MaaS) is a concept that empowers users to make individual journeys and/or overall mobility lifestyle choices that involve combinations of flights, ferries, private car, shared mobility services (e.g. taxi's, car hire and bike rental) and public transport (e.g. railways, trams and buses). As we have seen with AirBnB, Uber and IoT company Mobike, new market entrants are increasingly global in outlook from day one and raising the bar on consumer expectations for seamless, pain-free and user experiences. Consumer markets are moving away from a desire to own cars to being in control of their digitalised lives: leading to a global demand for Mobility as a Service "“ a market valued at Â£1 trillion by 2030. Yet current infrastructure and data for travel booking, payment and information is often locked away in silos. It means little interoperability between modes of transport, across borders or between competing transport companies. This market fragmentation creates numerous pain-points for the travelling public, and risks constraining and stifling the full market potential of MaaS. So, how is technology driving these changes? Technology is impacting not only what the art of the possible is through new technological capabilities such as the ubiquitous connectivity of the Internet of Things, decentralised databases of the Blockchain and increasing levels of automation through Artificial Intelligence. It is changing society, consumer behaviours and the very fabric of how our economy functions"¦and with these paradigm shifts, there is a risk that society could lose sight of the outcomes they want to achieve from these advances. This is where the Travelspirit Foundation comes in! TravelSpirit Foundation (www.travelspirit.foundation) is a global, values driven, organisation, with a decentralised and agile governance structure to support their rapidly growing community. One: Policy think tank, as demonstrated by our growing series of white papers. Two: Members services, that include workshop facilitation, networking events and helping clients with routes to market. Three: Community curation, that includes the development of self-governing regional nodes, starting with the UK, and now incubating new operations in Northern Italy (Turin), Ontario (Toronto), Singapore and Cape Town. 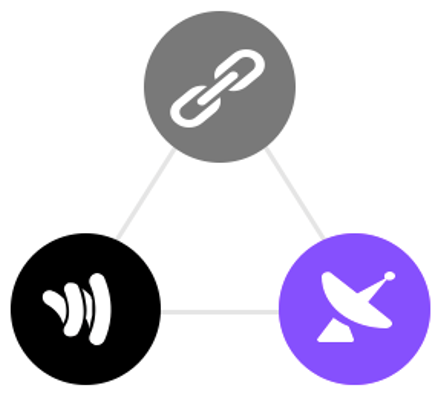 And finally, four: fundraising for the Open Internet of Mobility. Since their 1st annual conference, in Manchester, in June 2016, TravelSpirit's open MaaS community (www.travelspirit.io) has grown in both numbers and diversity of participants. From a "Manchester thing" they are now a "Global thing", with new in-roads being made on the technology front into the global IoT and blockchain communities. On the transport industry front they've succeeded in bringing the automotive industry into what started out as a public transportation focussed project. 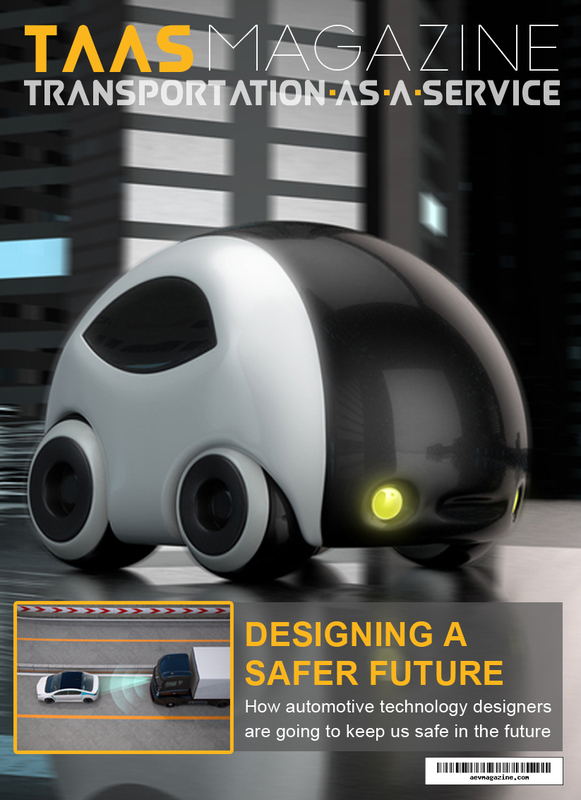 This was achieved thanks to the early strategic partnership work with University of Salford, Northern Automotive Alliance and Cisco on the ConcentriCity Alliance R&D programme for integrating Internet of Things technology with Artificial Intelligence to create a framework for a radical new autonomous system for public transit. But of most importance, is how the TravelSpirit community have moved from talking about the concept of MaaS to delivering meaningful MaaS pilots in practice "“ across the country, in forward thinking cities such as Manchester, Bristol, Exeter and Birmingham. There are also highly innovative the policy developments happening in cities such as London, Oxford and Cambridge. The TravelSpirit Community is a growing global network of transport operators, software developers, businesses, policy makers, planners and activists across the mobility and technology sectors, who are united by our four core values. Most crucially the community believes that an open, integrated, connected, multi-modal MaaS system provides the path to sustainable and equitable transportation for all. So, what do these observations around the convergence of technology and the Mobility as a Service market trend mean for the 20th Century transport industries? In the world of automotive, we are seeing a lot of proactive investment in exploring new business models by the incumbent car manufacturers. However, the industry's trade secrets are being rapidly learnt by the big technology giants. To survive, car manufacturers, need to identify and secure new revenue lines to replace falling returns from the car showroom floor. An on-going key challenge is how to redefine their brand identities from status symbols to a meaningful lifestyle enabler for the 21st century. In the airline and travel industries this sector was the first to be transformed by the new platform economies, such as AirBnB, with many positive, albeit controversial, results for customers and the industry as a whole. Mobility as a Service is in the dna of this industry, which also has a strong record for business model innovation. However, the market has become beholden to a small number of aggregation platforms, who are now slowing up further innovation. A key next challenge for the industry is how to provide customers an end-to-end journey experience through integration with ground transportation. In the world of public transport, the industry regulators continue to push for more open data. However, ironically, we are finding that the very same companies who have benefited most from open data, are highly closed in their own approach to sharing. We are also finding that the incumbent operating companies are struggling to undergo the necessary cultural and organisational change, to reform the market from within. A key challenge moving forwards, is how to incentivise the development of open ecosystems "“ the theme of TravelSpirit's 2nd annual conference. So, it is Si Ho's hypothesis that all these factors are leading to a convergence in transportation "“ where the institutions built around 20th century industries will be deconstructed and rebuilt around a new global and universal mobility system. At TravelSpirit Foundation, it is their vision is to enable the Open Internet of Mobility so the world can enjoy and benefit from an integrated, connected, multi-modal mobility experience. 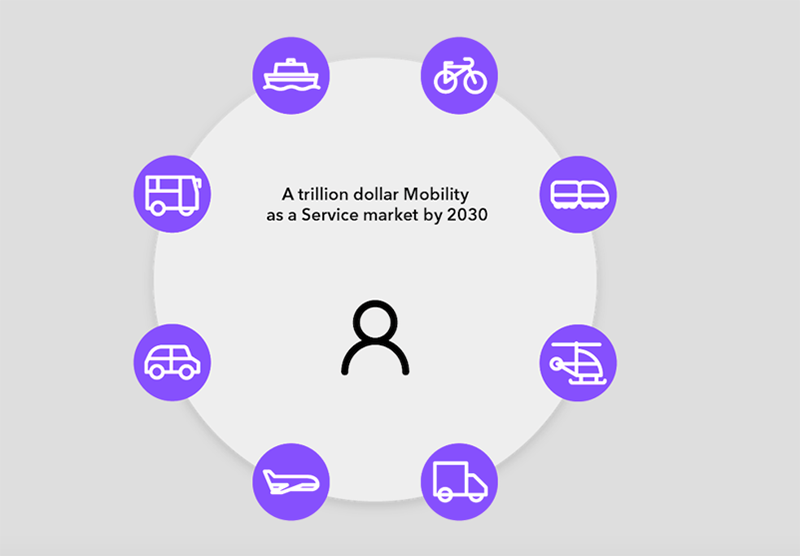 They want to enable both private and public mobility providers to compete in a transparent Mobility-as-a-Service market place that is focused on providing personalised customer-centric services to anyone and everyone. And they think that the key disrupter and eventual glue to this new eco-system will be a much higher level of the sharing of transportation resources, which will lead to a more sustainable and equitable future. And what will the Open Internet of Mobility look like? First and foremost, TravelSpirit believes that the open Internet of Mobilty, like the Internet, must be built with open protocols and data. Their strategic partners the Open Data Institute have some very good compelling reasons to believe this is a worthy path to follow. Many commentators have talked about data as the new oil. However, placing a fixed price and access restrictions on data intrinsically limits the full value potential that can be achieved through the combination and fusion of big data. It also reinforces pre-Internet business models based around hoarding, restricting supply and ultimately a lot of computational and storage waste due to replication and duplication of efforts. A better standpoint, that the ODI is advocating to the transport industry is to stop selling data and focus on selling services "“ reimagining data not as oil but as infrastructure, analogous to our historic investment in road and railways infrastructure. So, can we provide a practical example of a technological innovation that would form part of this new Open Internet of Mobility? When Si left Transport for Greater Manchester earlier this year, he promised himself some "time-out", as a 1st Class Cambridge Mathematics graduate, to research into the theory and practice behind Blockchain technologies. Like many people before him, the experience of immersing himself in the world of Proof of Work Algorithms, Cryptographic security techniques and decentralised consensus was a truly enlightening experience. When he moved up to Manchester from London 8 years ago, as an urban planner, he claims he had no idea that in that same year Bitcoin was born! So it has been fascinating for him to research the full history of the development of Bitcoin to the creation of Ethereum and now the new token-based crowd-funding route (ICO) that is now raising well over 3 times more capital than the entire VC market for blockchain projects. Blockchain is certainly not for the faint hearted "“ but the potential for blockchain to help the Internet of Things market scale, is, he believes, something not to ignore. Certainly, for Si, he has revelled in architecting the TSio Protocol; through a novel combination Blockchain and IoT technology, to solve some pertinent transport industry problems that IoT on its own is unable to solve. So what problem and market opportunity does TSio Protocol address? Like all successful businesses, the protocol is defined by a real-world problem and an identified market opportunity. With cities consuming between two-thirds and three-quarters of the world's energy, their role in driving a clean energy future is inescapable. Around 1.5 million people are added to the global urban population every week, and the proportion of the world's population living in urban areas is heading for 66 percent by 2050. Uncontrolled, rapid urbanization presents acute challenges for national and local governments, with constrained capacity and finance for infrastructure delivery. Unplanned and poorly managed urbanization can give rise to inequality, pollution, and costly sprawling development plans. Too much of city development and planning is based on existing habits and behaviours, which oftentimes neither address the challenges, nor increase happiness. Around the world, new ways of providing mobility are appearing in our cities and towns each day. From autonomous vehicles to e-bikes, new technologies are bringing our science-fiction dreams to life. At the same time, rapid adoption of mobile Internet access is creating new business models and service offerings that change the way we access existing modes. In the UK, we can see the start of changing travel behaviour as car clubs have grown to 250,000 members across the UK in the last 10 years, whilst public bike-share schemes have reached 17 towns and cities. There are several different models of ridesharing services serving people from festival goers to urban commuters. Recently, Mobility as a Service (MaaS) has emerged from within this exciting frontier to offer travellers a powerful new alternative to car ownership in the form of seamless multi-modal transport. It provides a range of mobility offers across modes and locations, all linked through an integrated user interface. While good progress is being made on MaaS in cities with healthy open eco-systems, such as Helsinki, Birmingham and Singapore, commercial tensions between competing transportation businesses make aggregation of services and data highly challenging to enable the concept of a MaaS aggregator app to scale across every part of the UK, let alone globally. Then there is a new problem that is causing a lot of pain for data-rich organisations who must comply with latest European data protection regulations "“ the General Data Protection Regulation on handling personal data. It is in fact a very simple one. For some time smaller cities than places like London, who are not blessed with a Â£1.3bn per annum operating budget for their transport infrastructure and systems, have been scratching their heads over how they could possibly afford a world-leading state-of-the-art smart ticketing scheme. The problem, to some degree, has been a philosophical one. The city wants to own its customers, have its data "“ presumably because they've been told it's the new oil "“ and most crucially, build a secure fortress to protect all that personal and commercial data that they will inevitably need to manage. But what if a city was comfortable enough in its own skin not to feel the need for such centralist hierarchies? What if they simply want to enable their citizens to have a great experience of their transport systems? Then the answer, for Si Ho at least, is simple: enable a decentralised system to evolve, where the customer's own and control their data. - Interoperable between transport operators, modes and across borders. - Built for low network latency, fast verification and compatibility with low power devices. - Prevents fraud, protects data and resists denial of service attacks. - Manages the rights and responsibilities of highly portable personal data. Sounds simple "“ but how? That is where the latest developments on the Blockchain come in. Most new-comers to Blockchain will know about Bitcoin. Bitcoin is highly secure and protects the identity of its users to a point of understandable, and real, discomfort to national and international security issues "“ i.e. the downside of the "dark web" that Bitcoin has enabled. But if you research further, you begin to understand that Bitcoin is 2009 blockchain technology. What does 2017 blockchain technology look like? You'll find that new algorithms and underlying protocols are being developed that solve a lot of new problems and address many of the concerns that Bitcoin has raised. What if remaining anonymous is not the key priority of your blockchain network? What if the transaction values involved are capped to a level, as we see happening on contactless EMV, that require a lower threshold to secure the network from fraudulent activity? How about if we can create a blockchain network where all processing nodes and users are known to each other, such that trust can be created without exerting thousands of watts of computing power? At the heart of the TSio Protocol solution, is a novel crypto token, the Tsio, that at any point in time is tethered to an account, a geographic location and holding device. This interaction between the digital and physical domain provides a helpful mathematical constraint for the intended use case of paying for movement of people and goods. It enables high volumes of low value transactions and fast validation processes for speedy through-put. 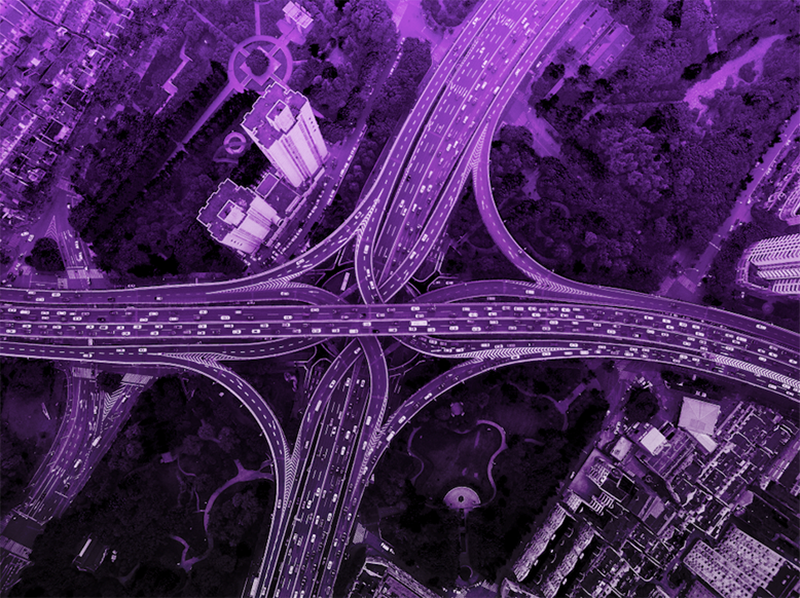 TSio Protocol's Blockchain network can remain highly decentralised and secure, via the ability to run "nodes" on connected cars, local ticket validator machines and smartphones. Context-aware optimisation of security and operational performance is achieved through a unique combination of Proof of Correctness, Proof of Stake, Proof of Elapsed Time and Proof of Location algorithms. The key takeaway is that Si has discovered, is that through IoT technologies, it is possible to create a trusted network that can be used to deploy and scale a distributed and decentralised blockchain network, that can manage a mobility account system for transport, without the need for a centralised architecture. 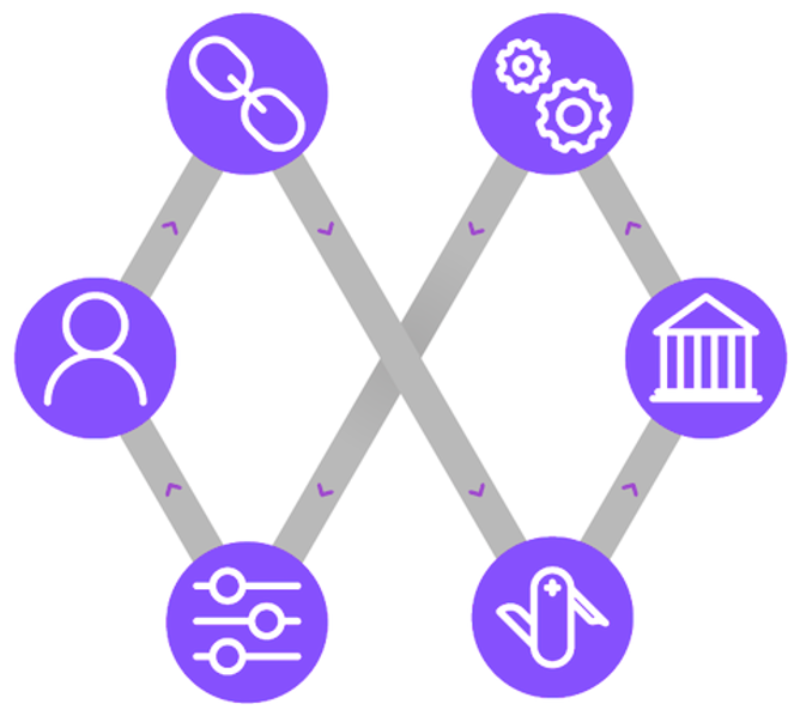 As an open source platform, the protocol is designed to support an ecosystem of surrounding products and services. 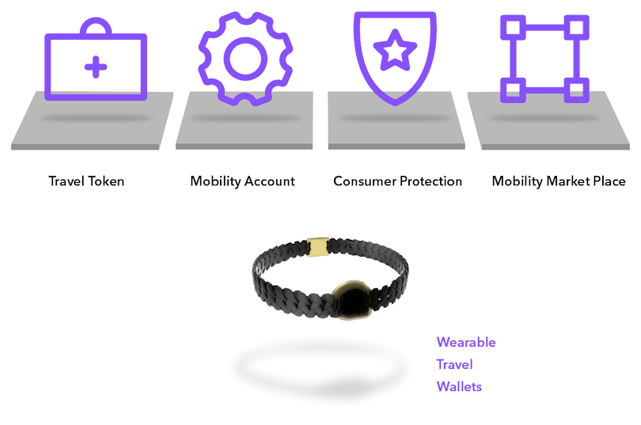 In the 1st phase of development, TSio Protocol enables third party applications, facial recognition & wearables to contain travel wallets that can be used to access Tsio compliant transport services. As transportation continues along the road of digitisation, TSio will provide the necessary protocols for consumers and businesses to manage all of their mobility via a single account. As the blockchain deployment market matures the protocol will provide new smart contract and escrow capabilities. It will enable the development of new travel and car insurance products and manage compensation and dispute arbitration mechanisms. Finally, as the MaaS market matures the protocol will provide a digital asset exchange functionality makes it simple for customers and transport operators to openly sell and resell travel products and services, creating an exciting new marketplace "“ the Internet of Mobility.